A national housing index based on the number of contracts signed by people buying houses rose to its highest level in two years last week, generating more assurances that the real estate market is stabilizing and the time to buy or sell a home is now. That national view reflects what The Holmquist Team has been seeing in Chester, Long Valley, Mount Olive and elsewhere. Yet another index is reporting that more homes are being sold, adding evidence to the fact that it’s becoming a good time to buy or sell a home. Indicators that the housing market is settling down have been growing, so if you’ve been waiting for a better market to buy a house, it’s here. 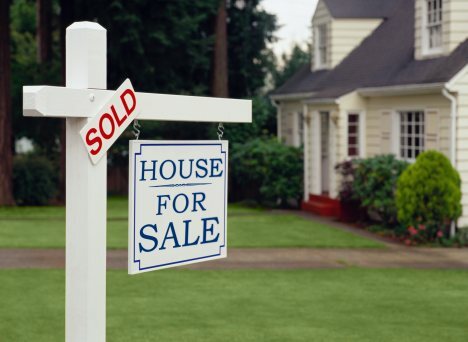 The latest information from the National Association of Realtors says contract signings were up 5.9 percent in May compared to April and 13.3 percent above a year ago. These are measured in an index called Pending Home Sales, and measure the sale of residential properties. Lawrence Yun, NAR’s chief economist, suggested looking at longer-term comparisons. Nationally and locally, mortgage rates remain at near or record lows. Don’t expect them to stay that way. Both S&P/Case Shiller and the Federal Housing Finance Agency say house prices overall are stabilizing and, in fact, are rising in some places. The National Association of Homebuilders monitors improving metro areas. Those that enjoy sustained improvement in employment, housing pricing and single-family home permits over six months make it into their index. Nationally, they started with 11 markets; now they’re up to 83 including one in South Jersey. There was a 9.2-month inventory of homes on the market in June 2011 vs. 6.9 in June this year. Challenges remain, of course, on both sides of the sales equation. But those working with a reputable Realtor instead of going it alone will receive good counsel and discover that conditions have rarely been better to buy and are rapidly improving to sell. In fact, in some areas, there are inventory shortages of certain types of homes. “The market,” of course, is the immediate area where you’re buying or selling a home. If you’ve been thinking about doing either, give us a call at The Holmquist Team. We knows these markets. Talk about all your concerns and fears. We will help you decide whether the time is right, how to accomplish your goals and how to get the best deal.